Heat the oil in a large Dutch oven over medium-high heat. 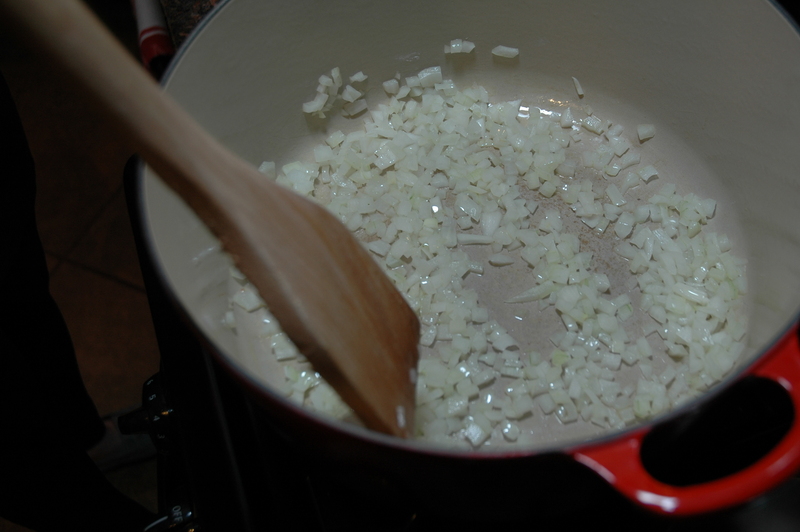 Sauté the onions until translucent. 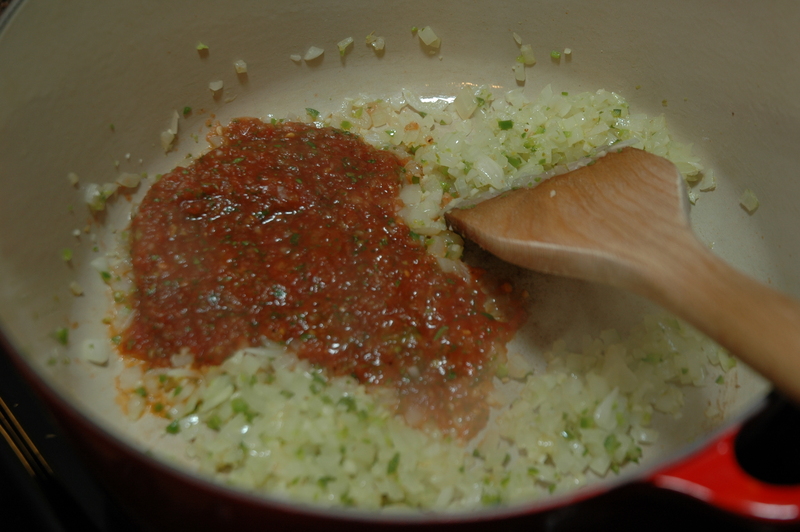 Add the Serrano and next 5 ingredients, through the chile powder. 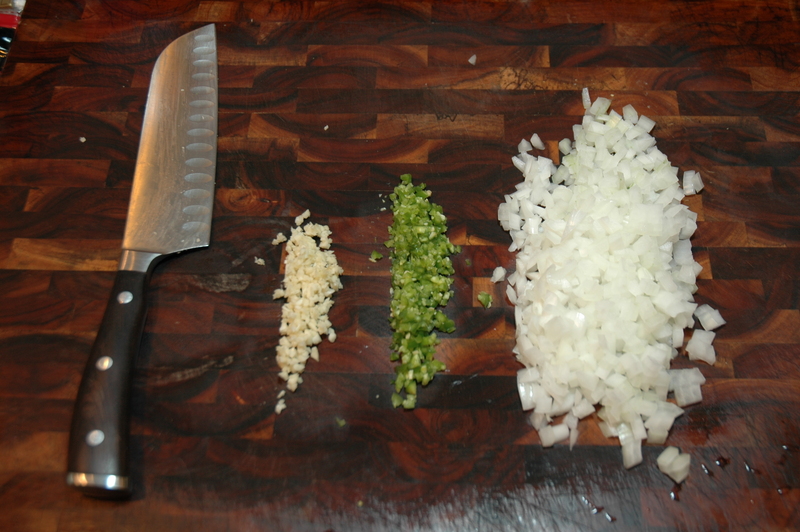 Sauté until ingredients are well combined (around 4-6 minutes). Prepare the chicken while the veggies cook. 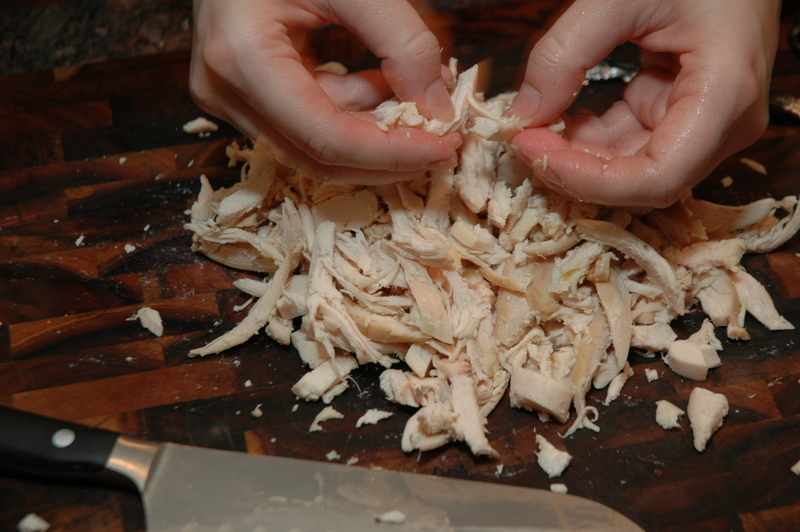 Add chicken to the pan. 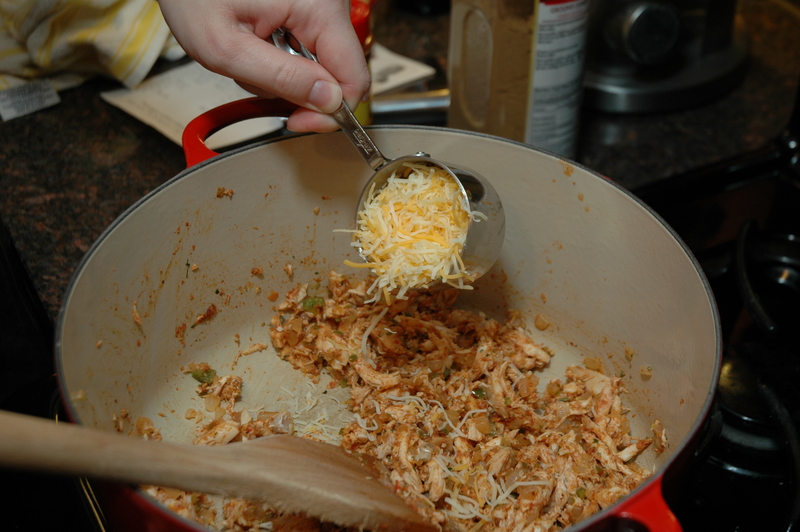 Remove from the heat and stir in the cheese. 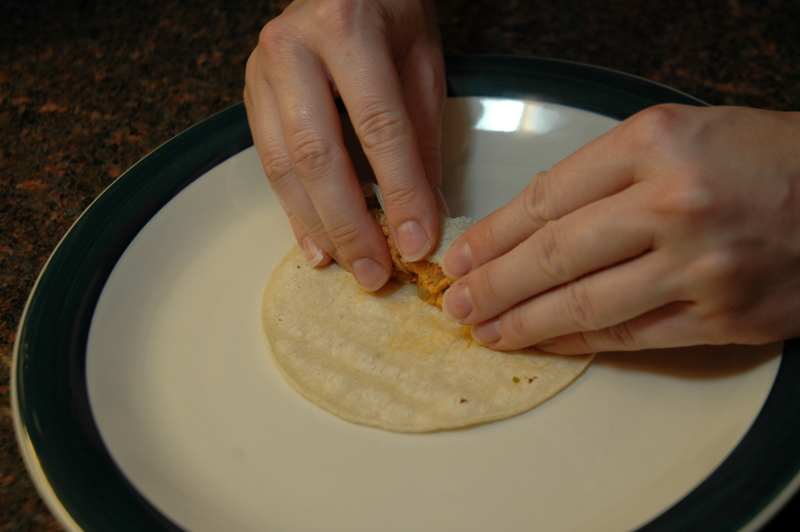 Starting with 10 tortillas, wrap in a damp paper towel or place in a tortilla warmer, and microwave for 1 minute until tortillas are tender. 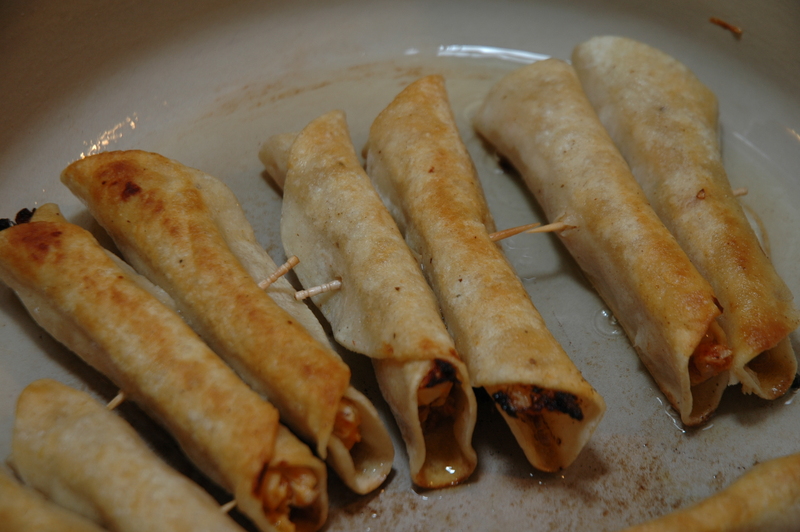 Fill the center of each tortilla with a heaping tablespoon of the chicken mixture and gently roll into the shape of a cigar. 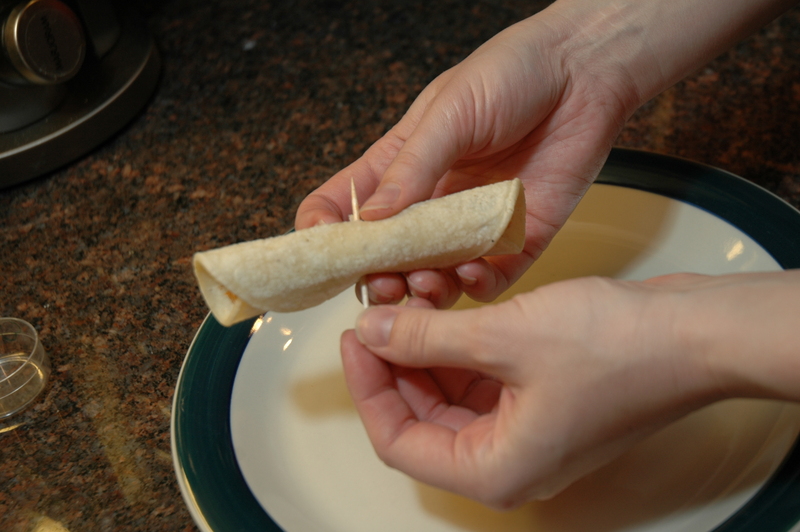 Secure with a toothpick (2 Flautas per toothpick). 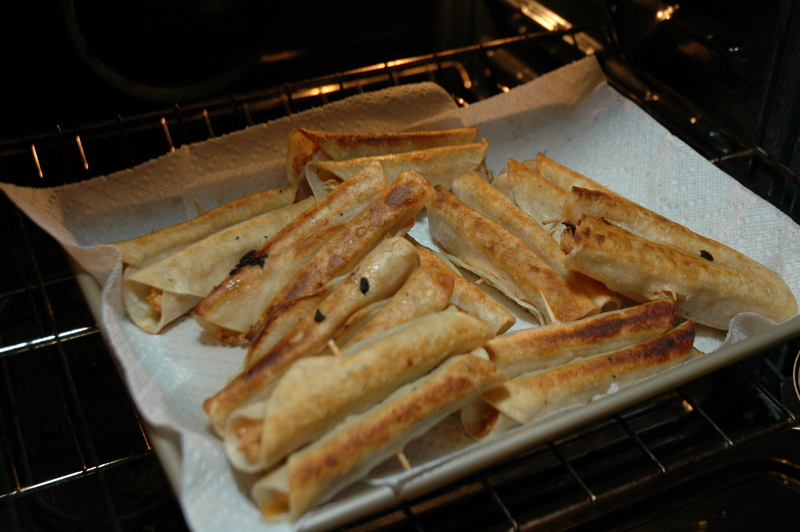 Heat the canola oil in the Dutch oven (wiped clean) until the oil sizzles when tested with the end of a Flauta. 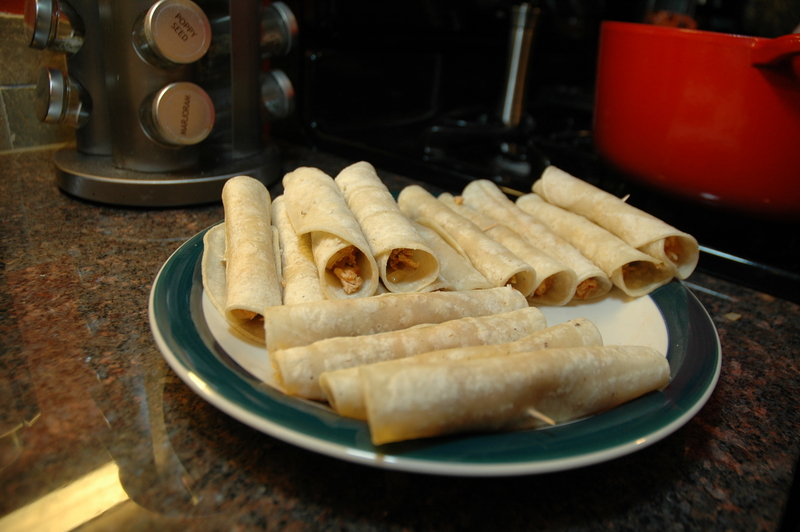 Working in batches, place the Flautas in the oil and pan fry until golden brown on each side. To keep them warm while you’re cooking the rest, place on a baking sheet lined with paper towels in the oven to keep warm and soak up any access oil. **WARNING: This sauce is VERY HOT!!! 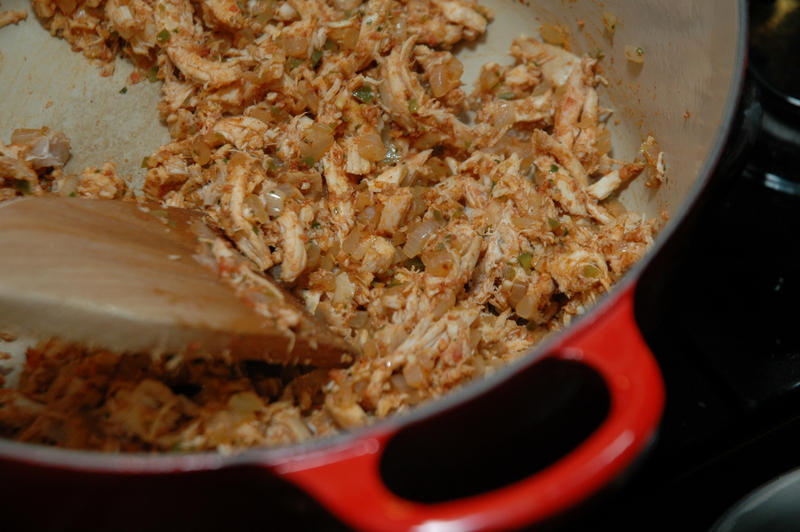 If you love the heat, then add the full 1/4 cup of chiles. 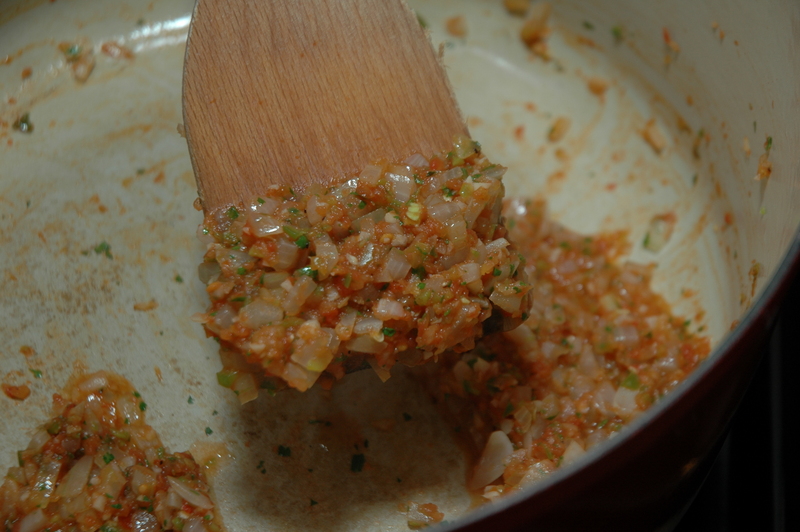 If you are sensitive to heat I would start with 1 chile (seeds removed) and a teaspoon of adobo sauce. Taste and adjust the heat according to your liking. 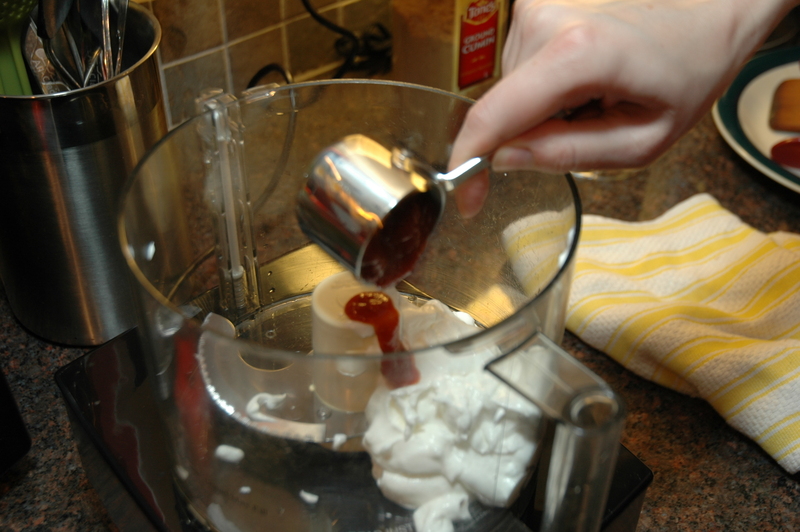 Put the chiles in adobo, sour cream, and lime in a blender or food processor. 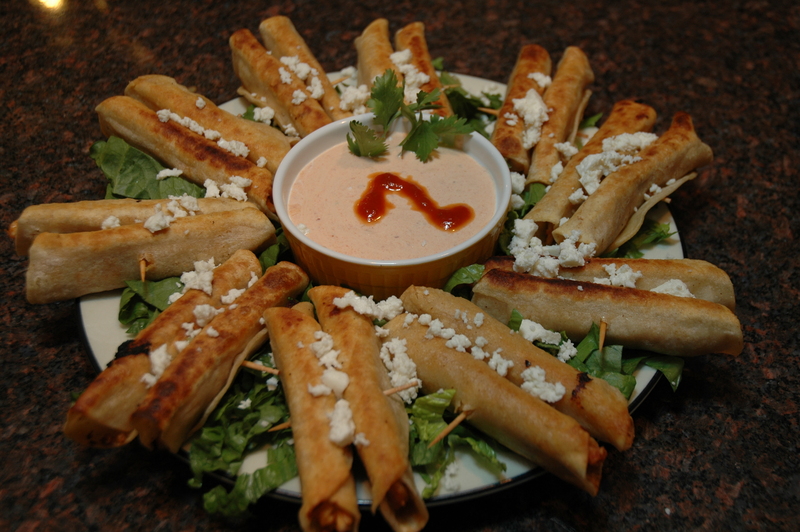 Place the sauce in a ramekin and serve on a serving platter covered with shredded lettuce, topped with the Flautas, and sprinkled with the crumbled Queso Fresco. 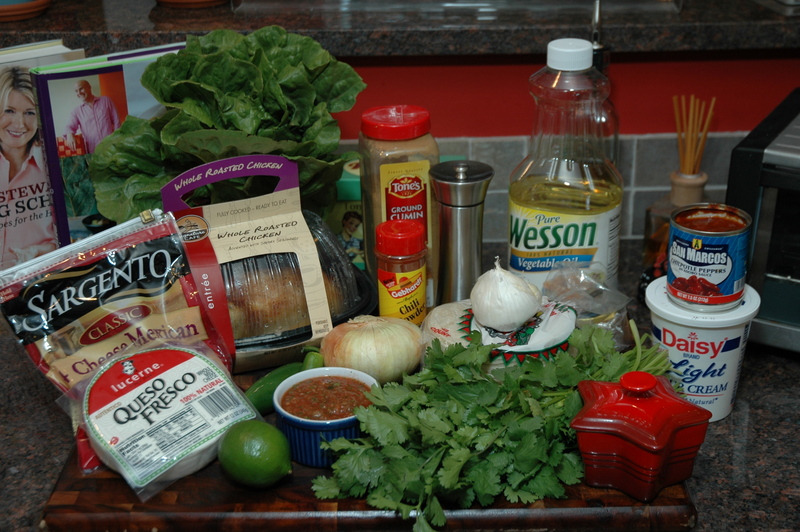 Hi, did you find this recipe somewhere or is this your personal recipe? I think I might give this a go. Hi Melissa! 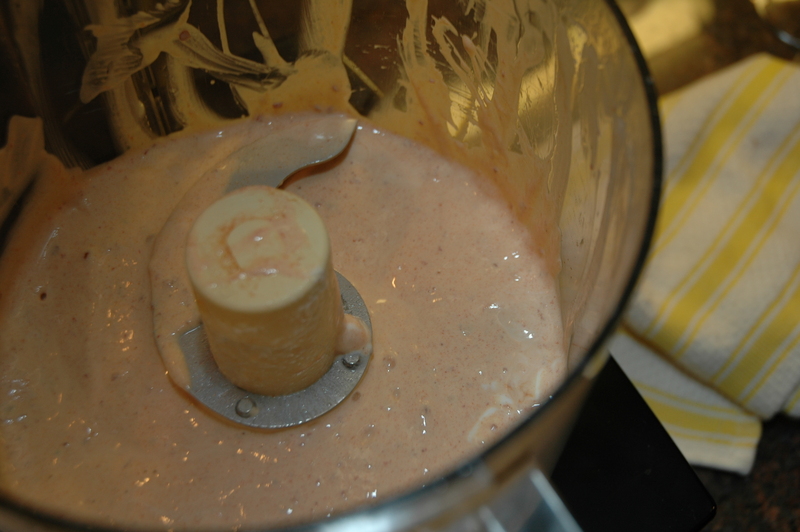 This is my own personal recipe. It turned out really good, you should definitely give it a try!